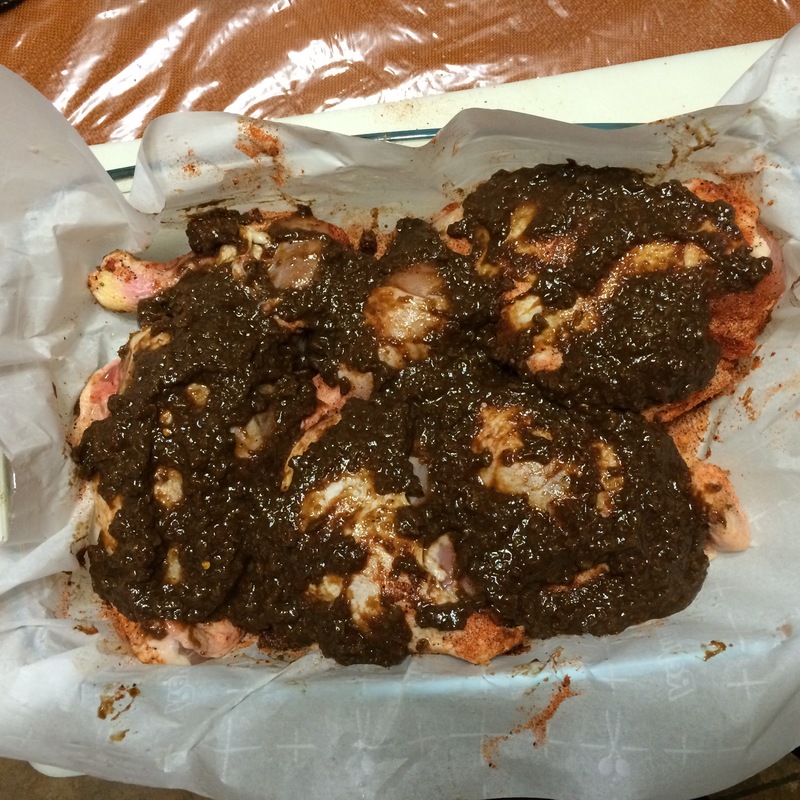 Raizel and I are crazy about the Schwarma Spice blend. I have been experimenting with it in everything! 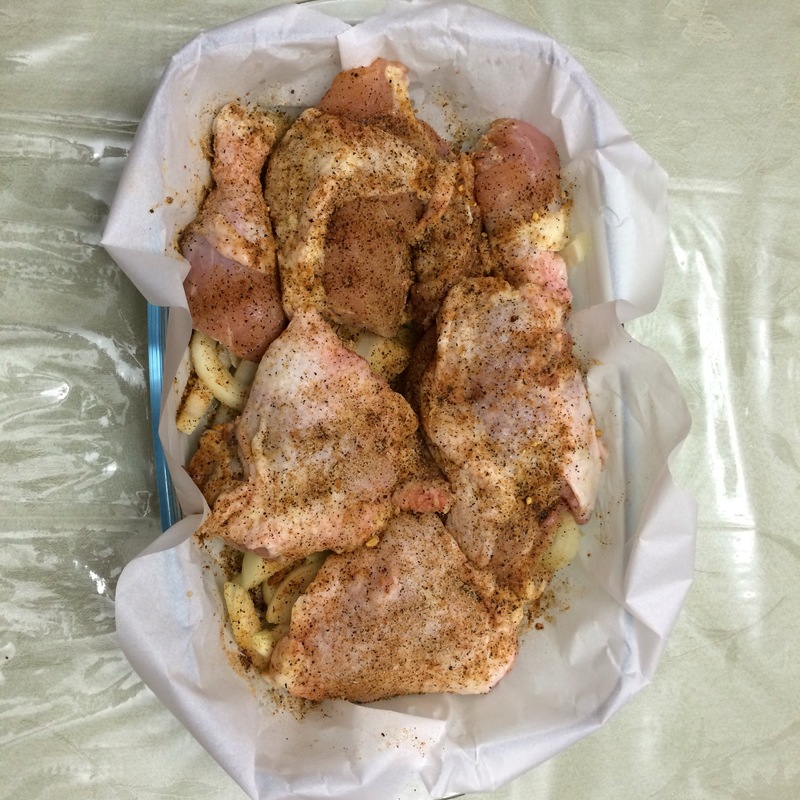 My friend Malka, a chef par excellence, made me aware that Schwarma Spice also goes well with chicken too. 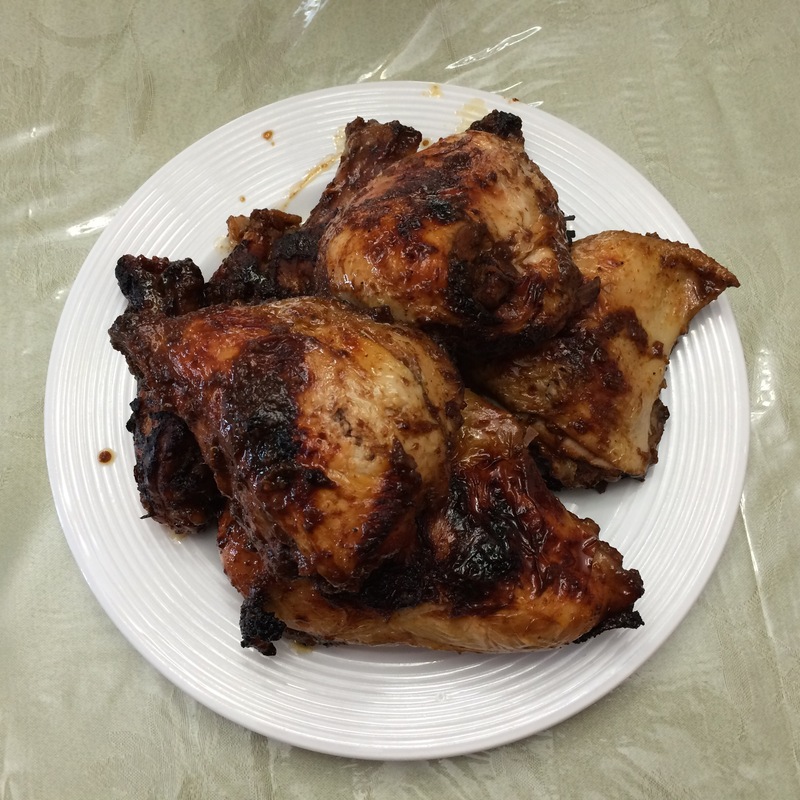 This recipe is adapted from my basic roasted chicken recipe posted earlier this week. 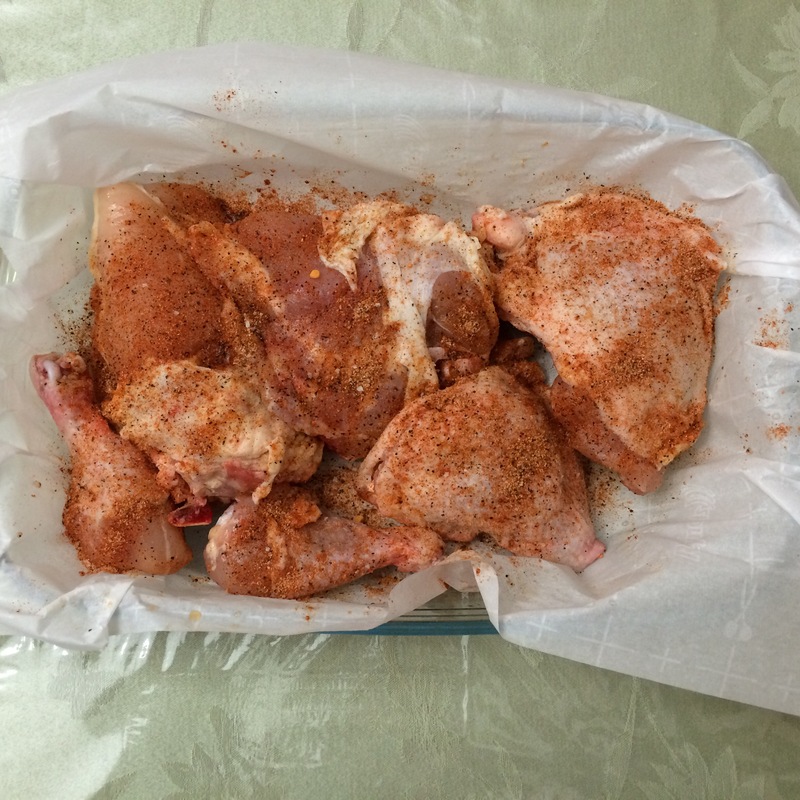 ½ teaspoon cloves, cayenne pepper and cinnamon. Slice onions and place chicken over onions in large pan. 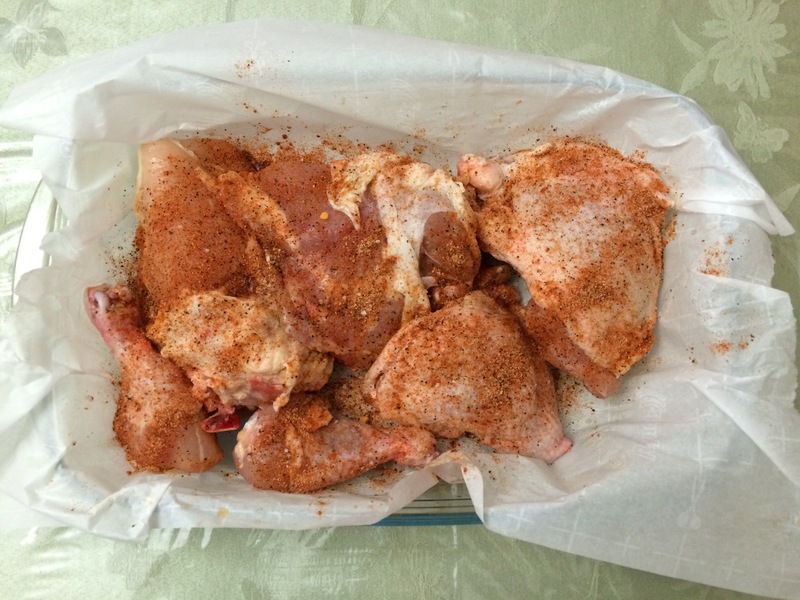 Season chicken with Season with Shawarma Spice Mix to taste and if possible, let marinate prior to cooking. Although I haven’t made it in a crockpot or pressure cooker, I think it is possible to make it in one. The method would be the same as for the roasted chicken. 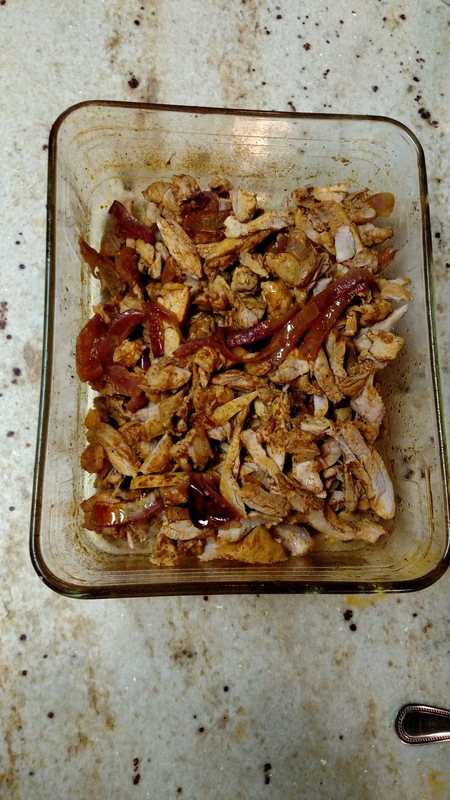 Skin chicken and place over onions in crockpot. Season and add 1/2 cup lemon juice. Cook on low. 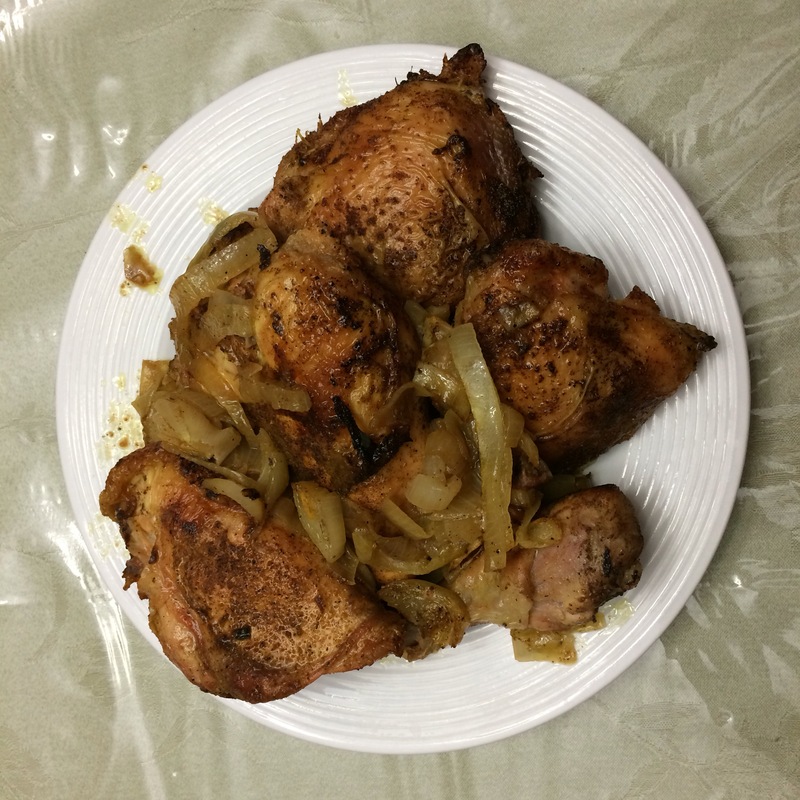 OR: Season chicken and brown in pressure cooker with onions. Cook for 7 minutes to pressure, using quick release method. 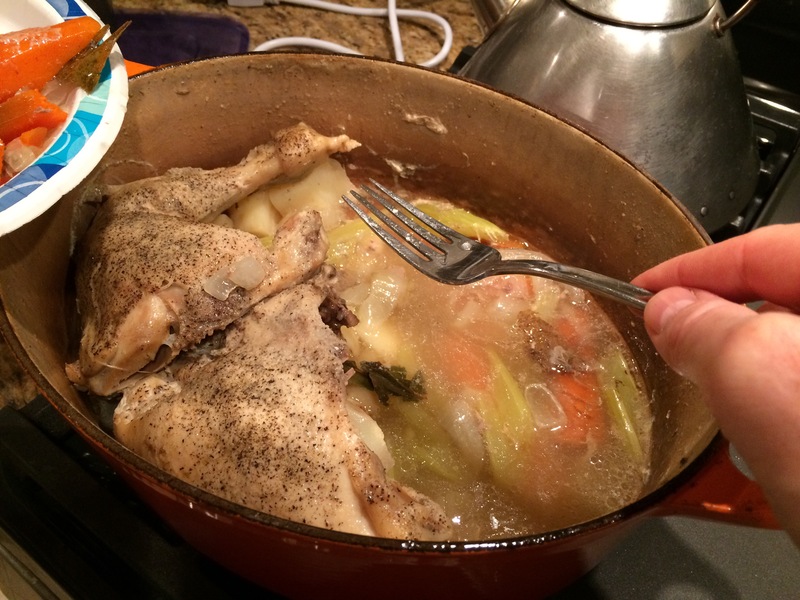 This also can be made on top of the stove, using water or broth as the liquid. 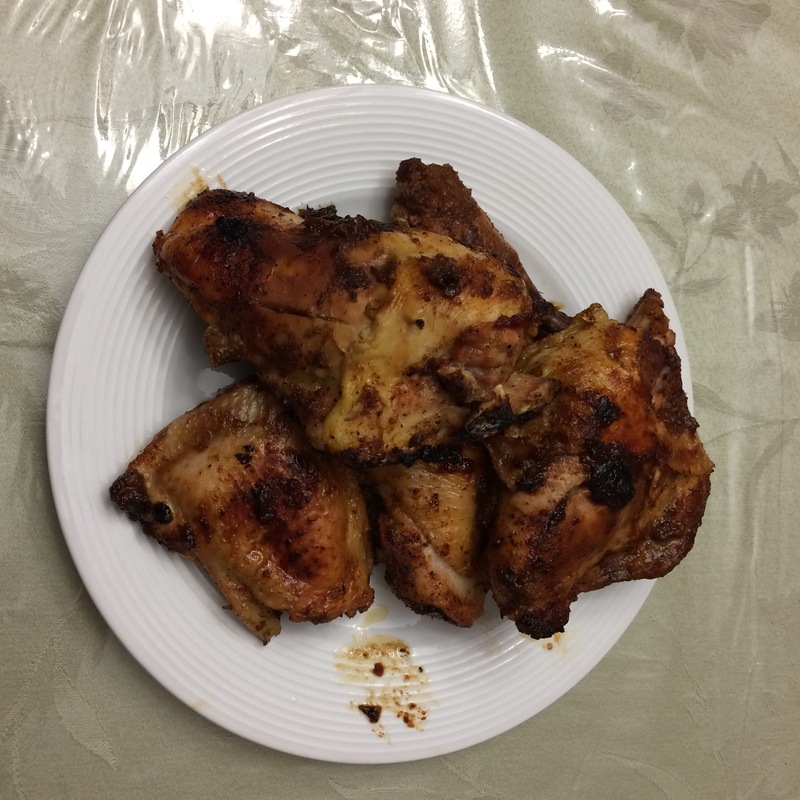 Raizel liked it so much, she ate half the chicken at dinner! So, this was a hit! My friend Malka made it with chicken cutlets and a red onion, with great success. Malka was kind enough to send me pictures of hers. 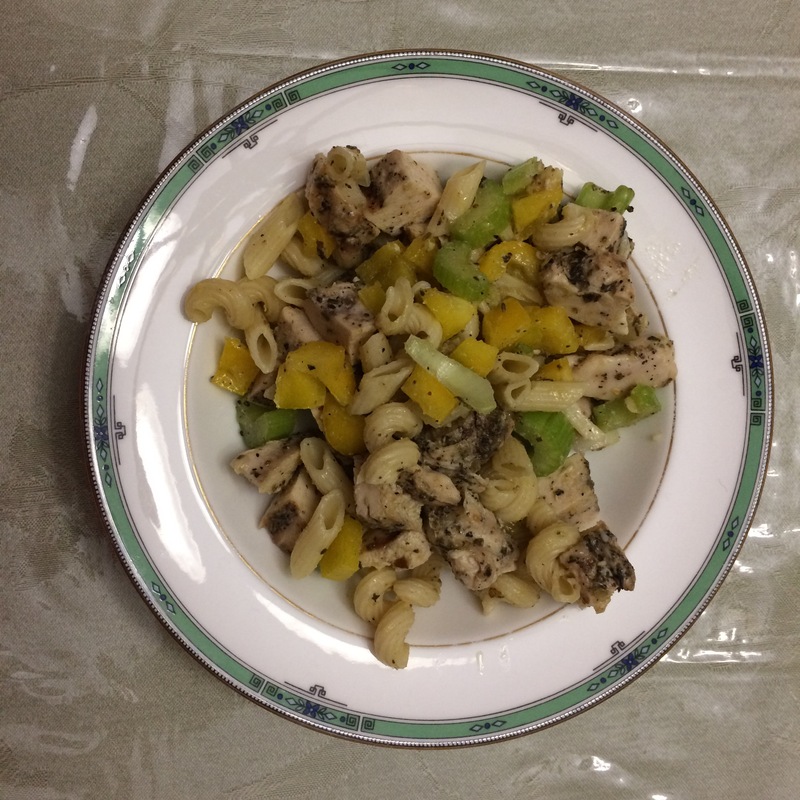 She made it with chicken cutlets, and it looks awesome! 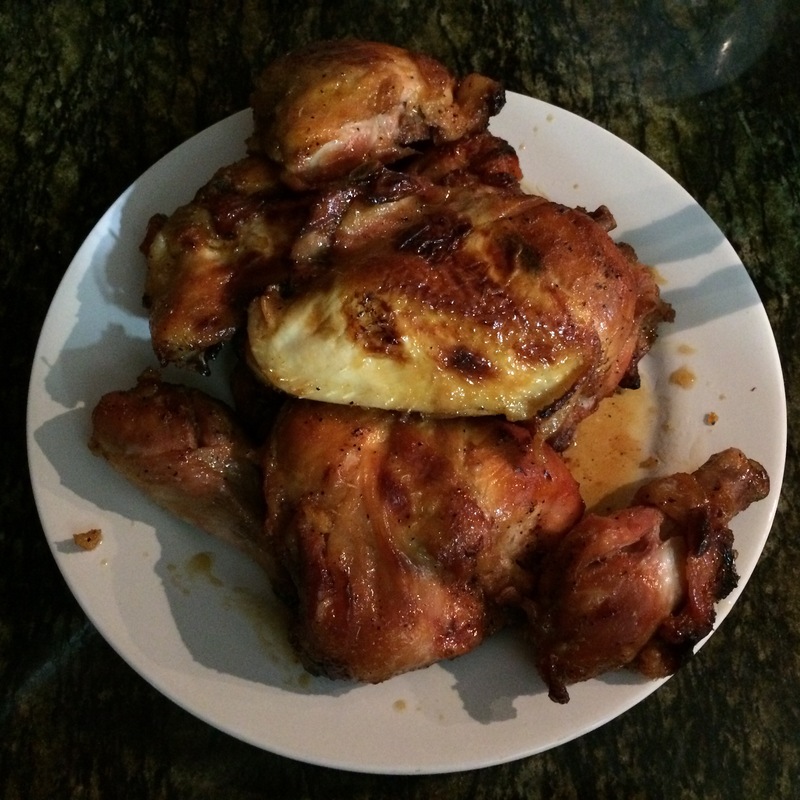 I realized as I was preparing to post a new recipe, that I have never posted on how I make my basic roasted chicken. This is my go-to recipe, that I make almost weekly. Optional: my grandmother used to squeeze a lemon on the chicken to “get rid of the barnyard smell.” When she was growing up, they bought their chickens from the meat market. 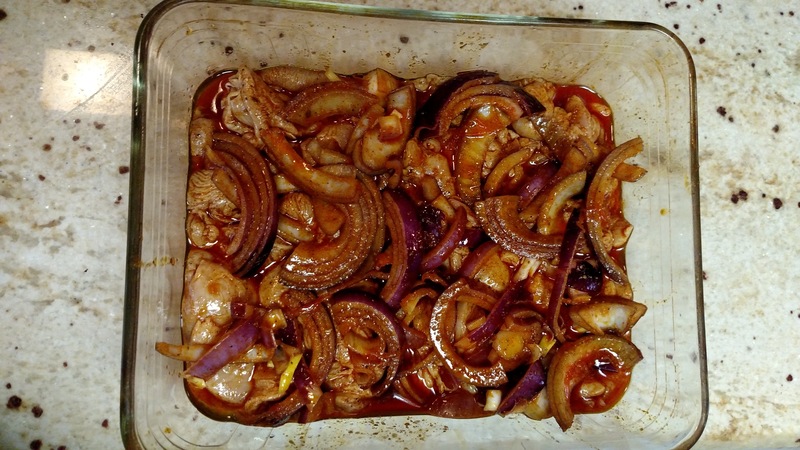 Slice onions and place chicken over onions in large pan. 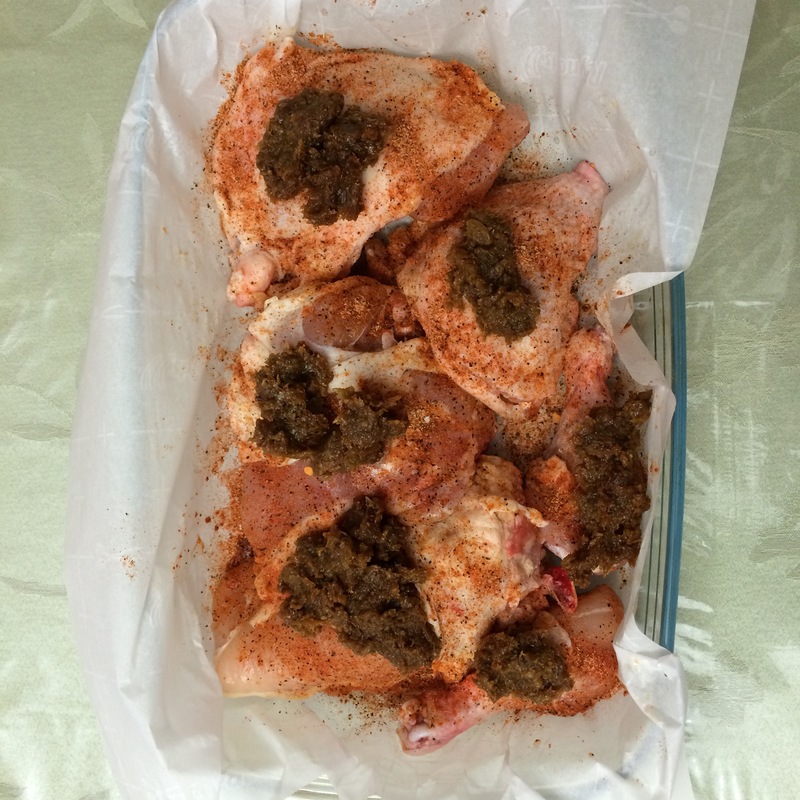 Season chicken with Mom’s Spice Rub and if possible, let marinate prior to cooking. 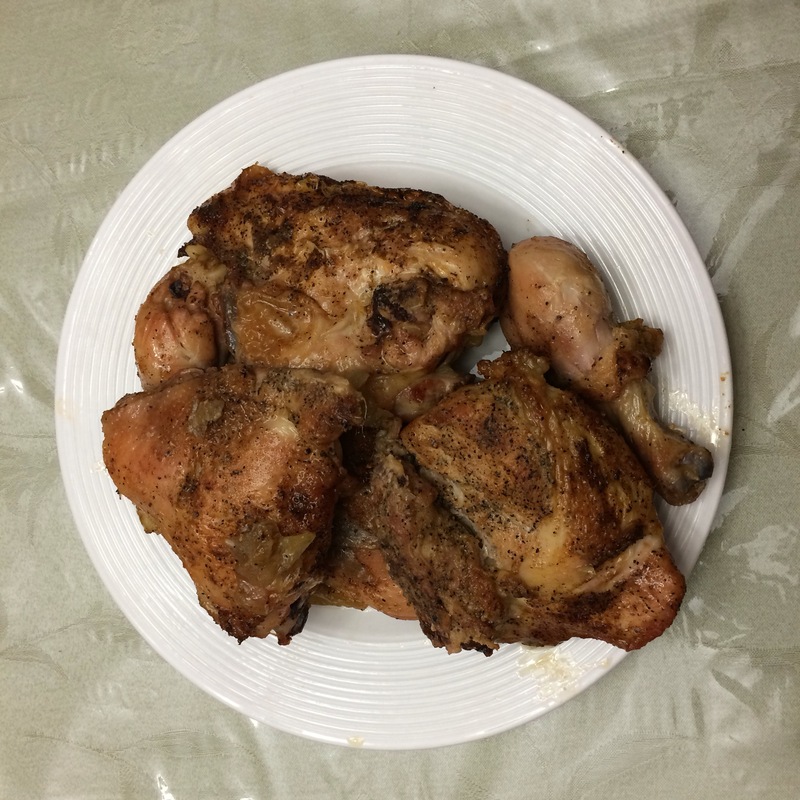 My husband likes me to sometimes finish off the chicken by broiling it for 2 minutes on each side to give it a nice color and slightly drier texture. This is the basic recipe that I follow, and then I make variations, as desired. This could also be made in the crockpot or the pressure cooker. 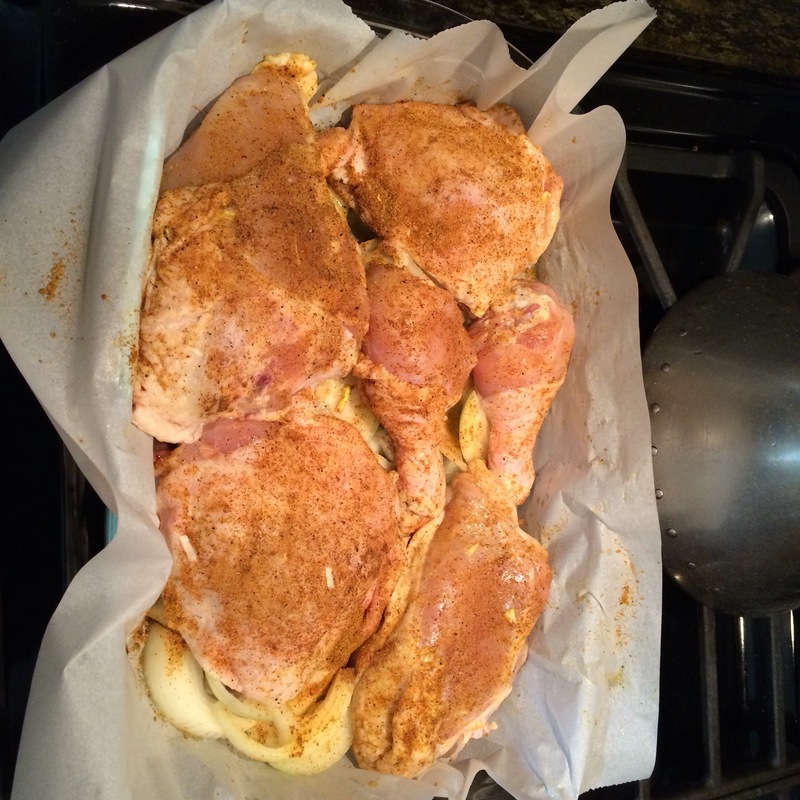 Skin chicken and place over onions and added vegetables as desired in crockpot. 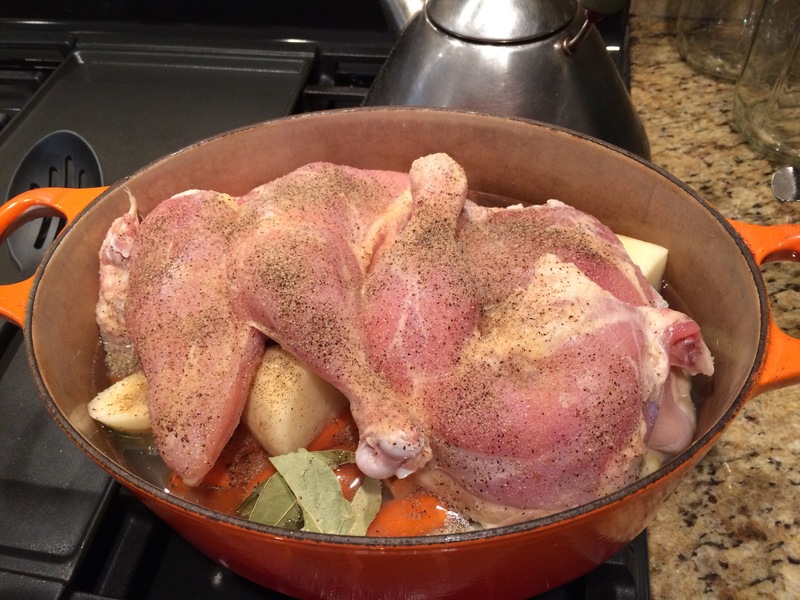 Season and add 1/2 cup liquid –either water, broth or wine. Cook on low. 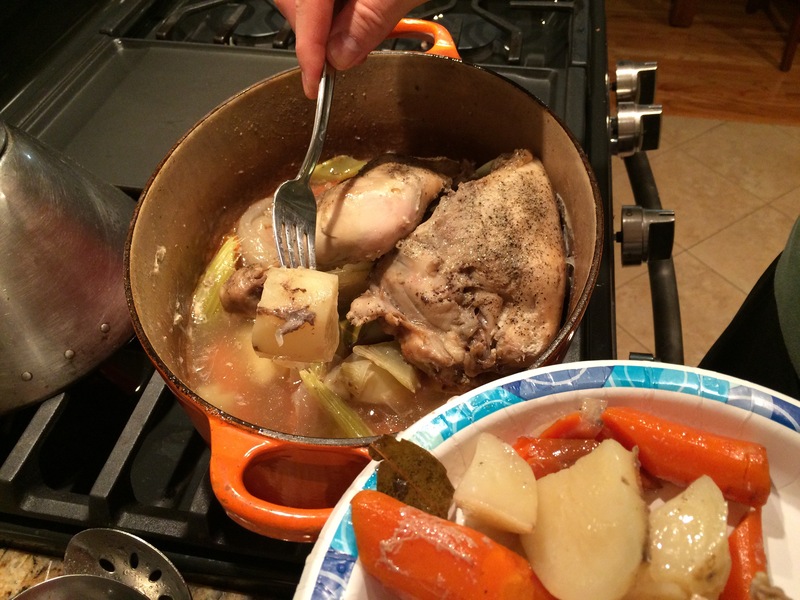 OR: Season chicken and brown in pressure cooker with onions and vegetables, if using. Cook for 7 minutes to pressure, using quick release method. Fast and easy and everyone’s favorite.